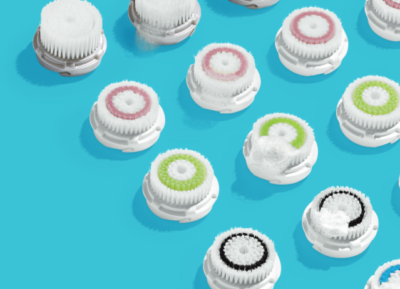 Yes, we offer the Clarisonic® skincare system at Skin Solutions! It’s a great tool to use at home. We feature the Clarisonic® Mia 2. The Mia 2 removes makeup 11x better than hands and has the power to remove skin damaging pollution 30x better than with hands and a facecloth. The soft, gentle brushes oscillate back and forth more than 300 times per second. From the creators of the Sonicare toothbrush, this gentle and effective system cleanses so well that products are better absorbed. Skin is softer, oily areas and dry patches are reduced, and pores appear smaller.